Designed by us in 2015, the La Palma Villas website was created to help promote holiday rental accommodation in La Palma, in the Canary Islands. The group advertise their holiday apartments and villas on websites such as booking.com but also wanted an independent website where holidaymakers could book online directly. As the site required online booking facilities with an integrated booking and payment system, a CMS websites was the obvious choice, and WordPress was chosen as the most flexible platform. 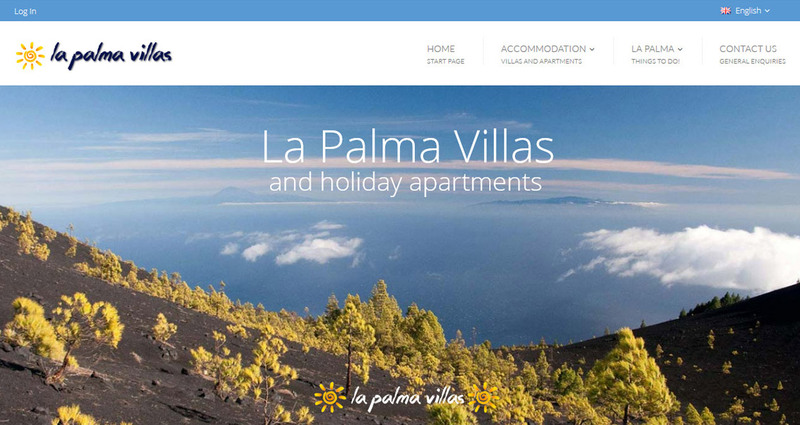 The La Palma Villas website features both individual holiday villas and holiday apartment blocks, and in order to prevent multiple bookings, software was added which allowed owners to control availability and also to create pricing based on dates and the number and ages of visitors. The site is bilingual, in Spanish and English. The La Palma Villas website is based on the WordPress platform, allowing the owners to modify their site whenever they want, add pages and sections and adjust pricing, vacancies and so on. We are not involved in the hosting or management of the site. Costs for a similar site; approximately £1500 - £2000 depending on page numbers, required features and functionality. Goodish Times Enjoy Goodish Times!